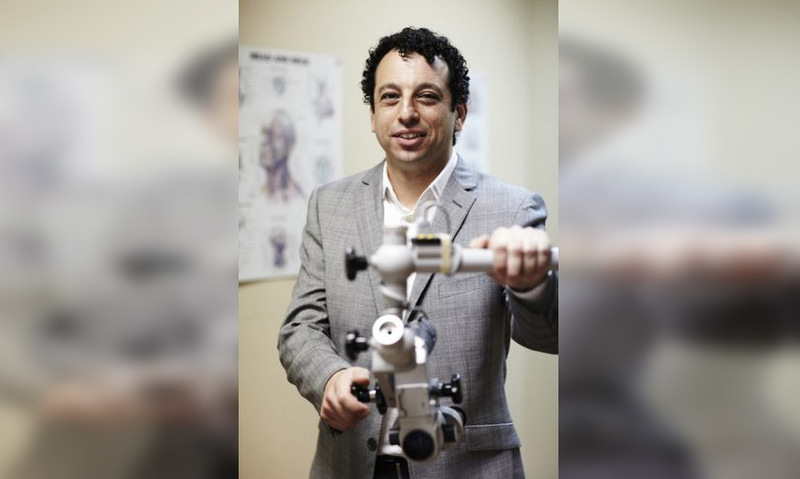 As an Australian neurologist, Neuro-otologist and medical researcher, Dr David Szmulewicz focuses his clinical and research interests on balance disorders that affect the vestibular system. He undertook his undergraduate medical training at Monash University and postgraduate medical training at The Alfred Hospital in Melbourne, where he also began his specialty neurology training which continued at St Vincent’s Hospital, Melbourne. This was followed by a neuro-otology fellowship at the Royal Victorian Eye and Ear Hospital, where he currently practices as just one out of three neurologists and neuro-otologists. Neuro-otology is a sub-specialty of Neurology and treats neurological balance disorders of the inner ear. David also holds a PhD from the University of Melbourne, which was supported with a GPRWMF Research Scholarship in 2011 for his work on using high speed video to assess eye movements in vestibular dysfunction. In addition to his work at Neurology Victoria, David is Head of the Balance Disorders & Ataxia Service at the Royal Victorian Eye and Ear Hospital and the Balance Disorders Clinic at Epworth Rehabilitation Camberwell, Honorary Consultant Neurologist at St Vincent’s Hospital and Lecturer at Melbourne University. David is lead investigator on research defining a novel ataxia – Cerebellar Ataxia with Neuropathy and Vestibular Areflexia Syndrome (CANVAS) – as well as the development of an interactive vertigo assessment tool (iVAT) and an objective bedside test of imbalance – the video VVOR. With funding from the GPRWMF David – together with Professor Stephen O’Leary from the Department of Otolaryngology at the Royal Victorian Eye and Ear Hospital – David established The Australian Temporal Bone Bank (ATBB). The temporal bone is the part of the skull that houses the inner ear’s balance and hearing systems. During Dr Szmulewicz’s research into the balance condition CANVAS, microscopic examination of the temporal bone provided an insight into the disease process. The ATBB aims to help us to better understand diseases that affect hearing and/or balance, as well as the impacts of cochlear implants. Temporal bone samples are harvested from deceased donors in a surgical procedure carried out immediately after death, and stored for future research. The ATBB is based at the Royal Victorian Eye and Ear Hospital and is a joint initiative between the hospital and the University of Melbourne’s Department of Otolaryngology. The Australian Temporal Bone Bank is the first temporal bone bank in Australia and only one of a few in the world to specialise in balance disorders, with a joint interest in conditions that affect hearing.